You are likely aware of Alexa by Amazon. If not, Alexa is a voice assistant by Amazon. In other words, Alexa is like Cortana on Windows and Siri on Apple devices. It powers a few devices by Amazon like Echo and Dot. Up until a few weeks ago, Amazon Alexa was not officially available to everyone. Alexa was being offered on select Windows 10 PCs by select OEMs. 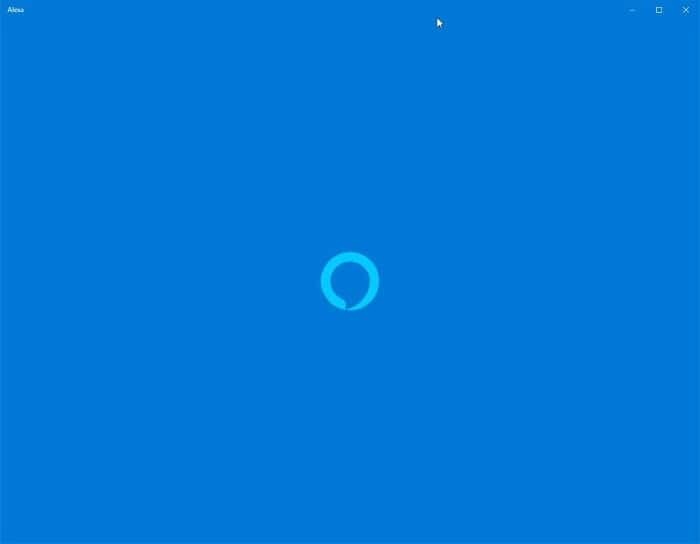 A few months ago, we shared you a workaround to get Amazon Alexa on your Windows 10 PC. If you love Alexa, you will be glad to know that you no longer need the workaround to get it on your Windows 10 PC as Amazon Alexa app is officially available in the Windows 10 Store. 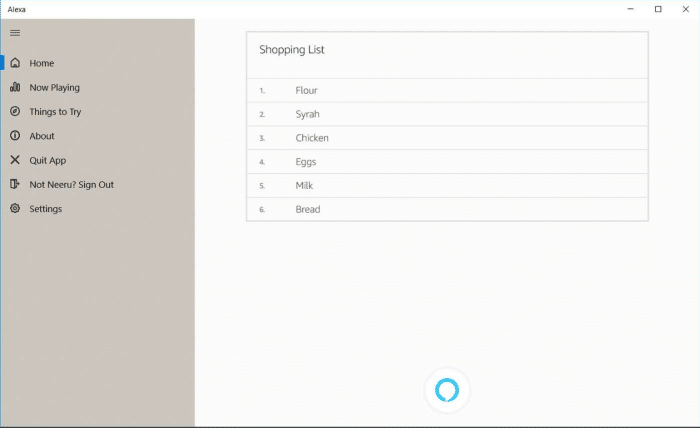 Amazon Alexa can help you get many things done on Windows 10 with just your voice input. It can give you the weather info, help you create a shopping list, play music and even control your smart home. After installing the Alexa app from the Store, you will need to allow the Alexa to access your PC’s microphone and then set it up to begin using it. Of course, you will need to sign in with your Amazon account (if not, create one). You can also use your own wake word for Alexa, but your Windows 10 device should be compatible with hands-free access. To check the same, navigate to Alexa settings. If not, you can click on the Alexa icon at the bottom of the app and then say a command or question. It’s worth mentioning that Amazon Alexa is currently available in select countries or regions and not available in most regions/countries. If you would like to give it a try outside the supported region/country, you need to change your location in your Amazon account settings. Click on the following link to open the Alexa app page in the Store app. Click on the Get button to install it.